What are the Serviceability Requirements of Foundation Structure? Home/ Geotechnical Engineering / Foundation Engineering / What are the Serviceability Requirements of Foundation Structure? Serviceability requirements are a set of conditions under which a foundation structure is considered to be useful. It is the second category of performance after the strength requirement. So, a foundation may be sound and perform well structurally, but it still might not be fit for utilisation if the serviceability requirements are not met. Therefore, serviceability requirements are intended to help one design and construct a foundation that demonstrates satisfactory performance when subjected to service loads. Serviceability requirements of foundations include settlement, heave, tilt, vibration, lateral movement, and durability. Failure to meet these serviceability requirements leads to aesthetic issues, diminished usefulness of the structure, and increased maintenance costs. 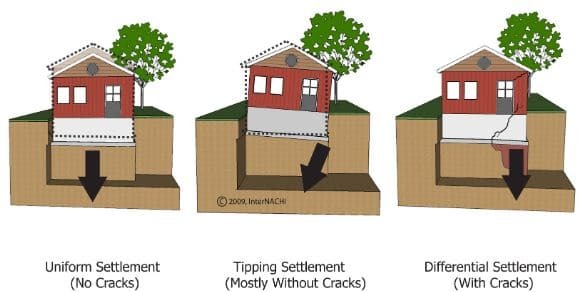 Settlement is the downward movement of a foundation structure due to the applied loads. Maintaining settlement within the acceptable limits, which is commonly specified by applicable codes, is the most significant serviceability requirements of the foundation. For example, the allowable settlement for office buildings ranges from 12mm to 50mm (25mm is a common permissible settlement); for heavy industrial buildings, it is 25-75mm; and for bridges, it is 50mm. Foundation structures experience strong vibrations when they support heavy pieces of machinery. Such strong vibrations shall be absorbed by the foundation structure without suffering from resonance or other issues. 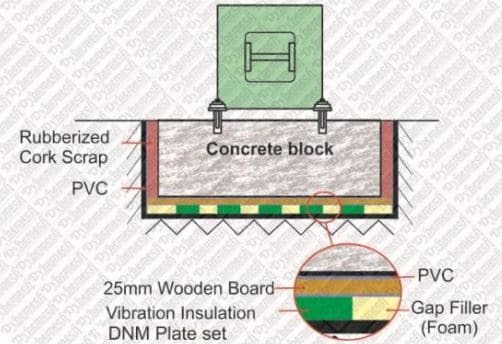 Sometimes, highly sensitive machines are supported by the foundations where proper technique shall be applied to isolate the machine from the source of vibration such as isolation of machines from vibration or application of base isolation for the foundation structure. When the foundation structure is subjected to lateral loads(shear and moment), it gets deformed horizontally. This lateral movement needs to be kept within the tolerable limits. Maximum tolerable lateral movement for bridges is 25mm. Heave is the upward movement of foundation due to swelling of expansive soil in which the foundation structure is constructed. Heave can be detrimental and needs to be accounted for during design and construction similar to settlement. 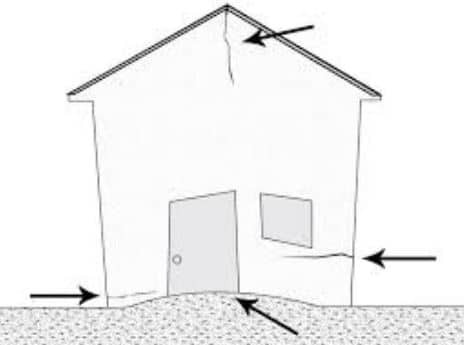 When heave or settlement occurs on only one side of the foundation, then it begins to tilt the superstructure. Leaning Tower of Pisa is an example of a tilt which is about 1/10s. Tilts are more detrimental in tall buildings and should not surpass 1/500 from vertical otherwise aesthetics of the structure would be lost. Durability is the ability of foundation to withstand various aggressive environmental influences, for instance- chemical, physical, and biological processes that may lead to foundation deteriorations. There are several techniques that can be employed to improve the durability of foundation structure such as designating adequate concrete protection for reinforcement, using chemical resistant concrete and insulating foundation from aggressive agents in soil and groundwater.